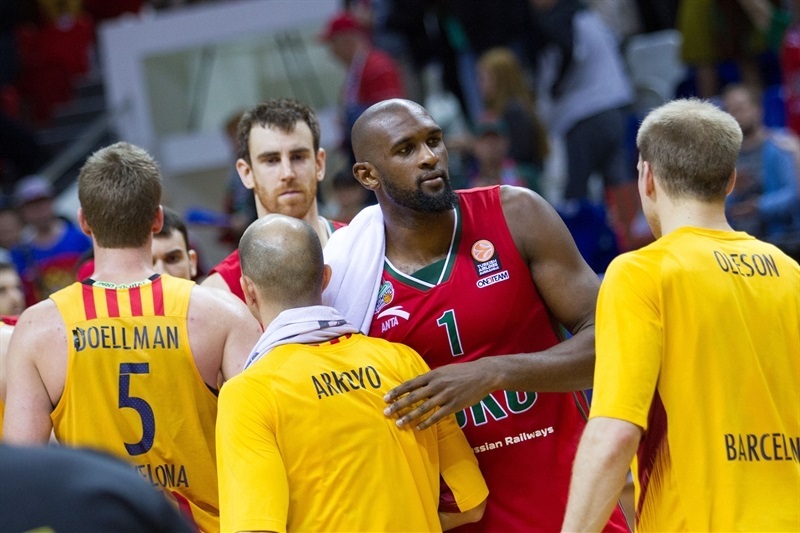 FC Barcelona Lassa registered its first win in this year's Turkish Airlines Euroleague playoffs by thrashing Lokomotiv Kuban Krasnodar 66-92 on the road in Game 2 of their best-of-five series on Friday. The series is tied at 1-1, but Barcelona stole the home-court advantage and will host Games 3 and 4 at Palau Blaugrana next week. 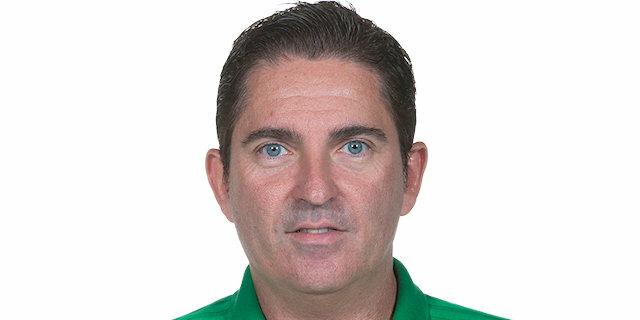 The 26-point margin was the second-largest for a road team in playoffs history and Barcelona became the first team to win a playoffs game on the road by at least 20 since 2009, when it routed Caja Laboral. 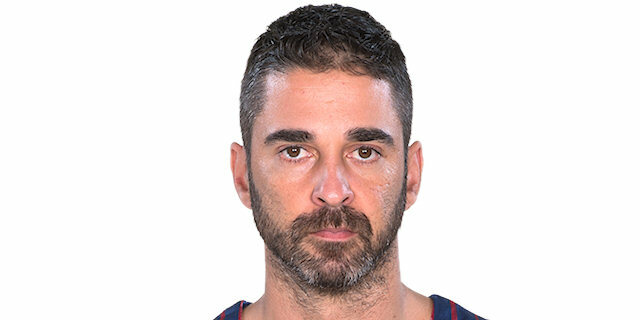 In his record 300th Euroleague appearance, Juan Carlos Navarro turned the game into a celebration by leading the winners with 18 points. 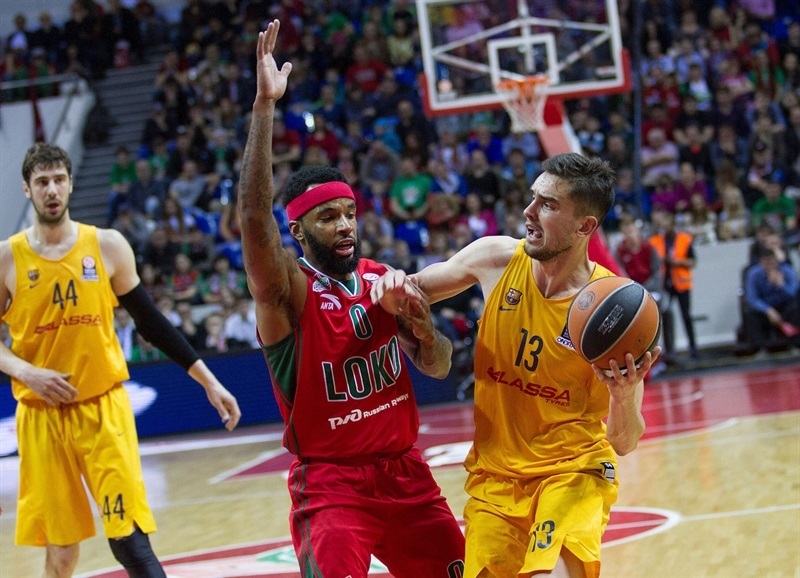 Tomas Satoransky and Stratos Perperoglou each added 13 while Justin Doellman and Ante Tomic had 12 apiece for Barcelona. Satoransky added 10 assists for a double-double. 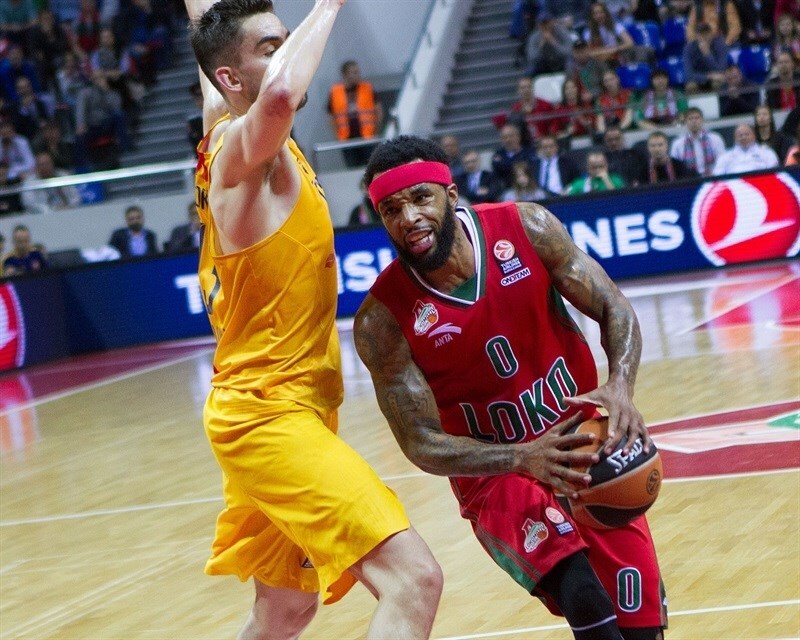 Malcolm Delaney led Lokomotiv with 19 points, Anthony Randolph added 17 while Sergey Bykov had 12 for the hosts. A 0-9 run that Perperoglou capped with a free throws gave Barcelona an early 5-13 lead. Delaney led a 9-0 Lokomotiv run that gave the hosts a 19-18 lead, but three-pointers by Alex Abrines and Pau Ribas restored a 19-24 Barcelona lead after 10 minutes. 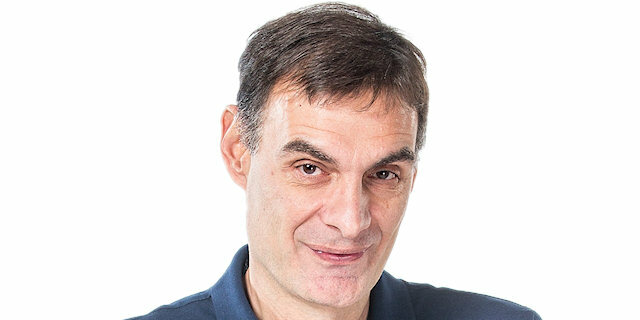 Perperoglou kept pushing Barcelona early in the second quarter and he got plenty of help from Satoransky and Doellman to build a 26-41 margin. Barcelona boosted its margin to 31-48 at halftime and then to 38-68 late in the third quarter on a huge three-pointer by Navarro. 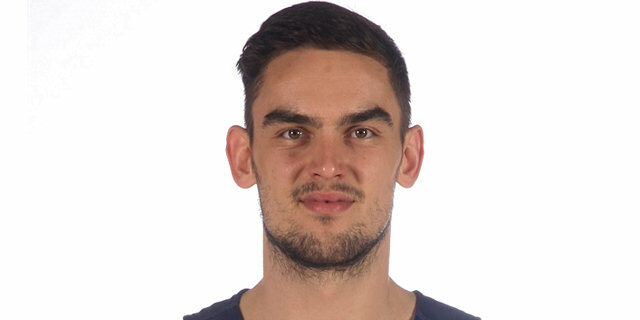 Lokomotiv did not give up, however, Randolph, Janning and Delaney brought the hosts within 61-74 with four minutes left, but Satoransky helped put the game on ice. 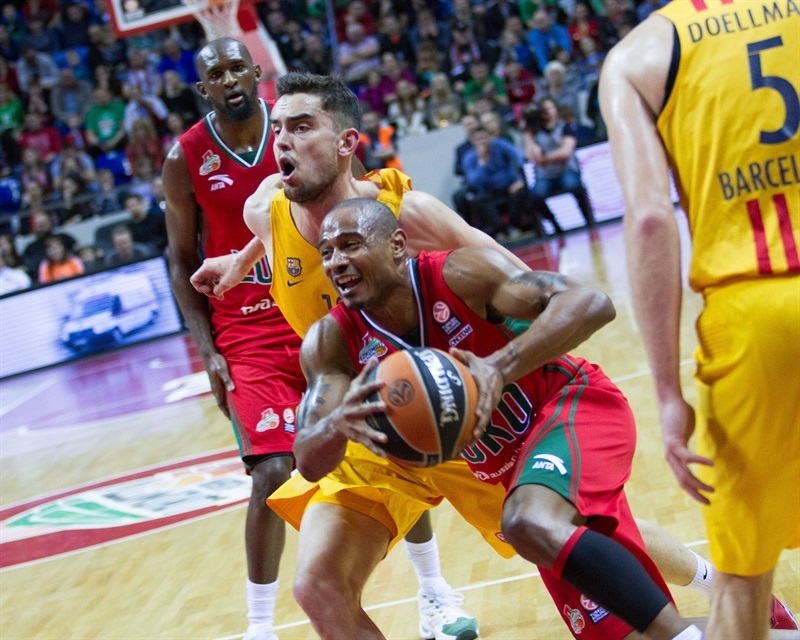 Navarro got Barcelona going with an off-balance basket, which Anthony Randolph bettered with a three-pointer. Tomas Satoransky swished a five-meter jumper and found Doellman for a fast break layup, but Sergey Bykov brought the hosts within 5-6. Satoransky kept pushing Barcelona with a three-point play and found Doellman again for another fast break basket and a 5-11 lead. Perperoglou made free throws to cap a 0-9 run, before Malcolm Delaney stepped up with a turnaround jumper. Perperoglou found Ante Tomic for a jump hook, but Delaney did better with a three-pointer. Perperoglou answered from downtown, but Delaney beat the shot clock with a jumper and Ryan Broekhoff added a layup to bring the hosts within 14-18. Matt Janning hit foul shots and a three-pointer by Delaney put the hosts back ahead, 19-18. Alex Abrines and Pau Ribas joined the three-point shootout to put Barcelona back ahead, 19-24, after 10 minutes. Both teams struggled to score early in the quarter until Perperoglou made free throws. Carlos Arroyo added a mid-range jumper off a screen, as Lokomotiv kept missing open shots. Meanwhile, a dunk by Samardo Samuels made it a double-digit game, 19-30, prompting the hosts to call timeout. Perperoglou buried a three-pointer to cap a 0-15 run. Randolph answered from downtown to make it 22-33. Barcelona hs entered the foul penalty and Randolph made the most out of it with 4 free throws. 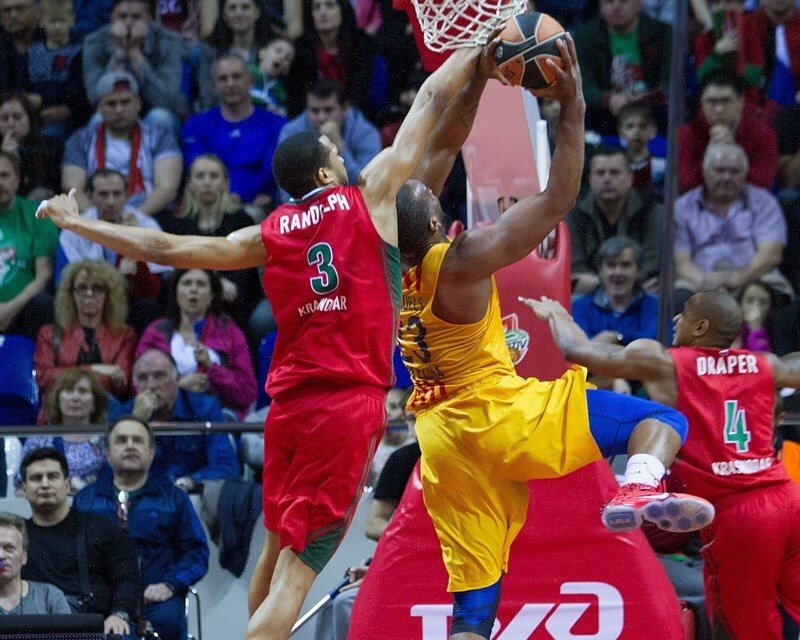 Samuels scored in the low post and a triple by Satoransky gave Barcelona plenty of fresh air at 26-38. Doellman buried one from beyond the arc before a floater by Dontaye Draper brought Lokomotiv a bit closer. However Navarro made free throws and added a three-pointer in transition to break the game open. Navarro stayed on fire with a driving layup, but a triple by Chris Singleton fixed the halftime score at 31-48. 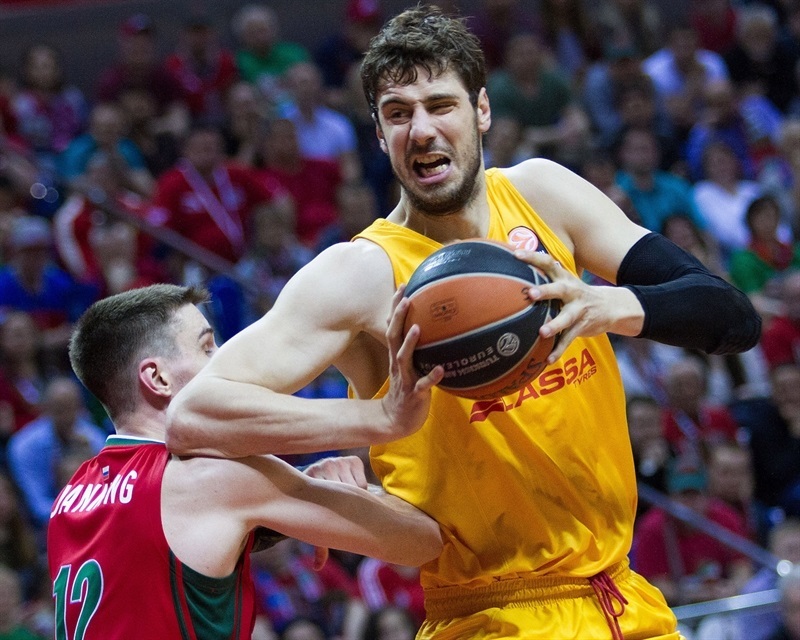 Perperoglou buried his third triple in as many attempts immediately after the break to restore a 20-point Barcelona margin. 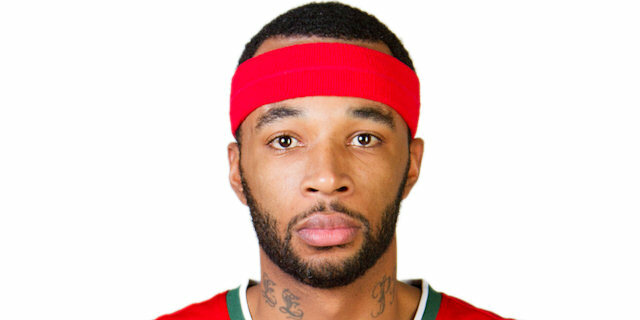 Randolph sank a mid-range jumper and soon added free throws to give Lokomotiv hope at 36-51. Tomic stepped up with a big basket in the low post and found Abrines for a layup. Doellman nailed a catch-and-shoot triple and soon added a mid-range jumper in transition that forced Lokomotiv to call timeout at 36-60. Delaney tried to change things with a jumper, which Abrines improved on with a triple. Tomic hit a jump hook and a wild three-pointer by Navarro made it a 30-point game, 38-68. Draper answered from downtown and a fast break slam by Victor Claver - his first points - brought Lokomotiv a bit closer. 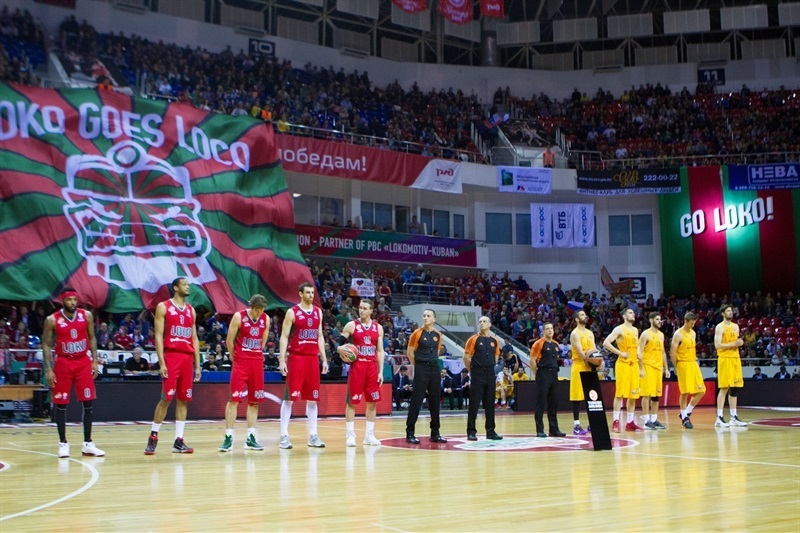 Tomic and Brad Oleson made free throws, but Delaney and Bykov struck from downtown to bring Lokomotiv within 49-71. 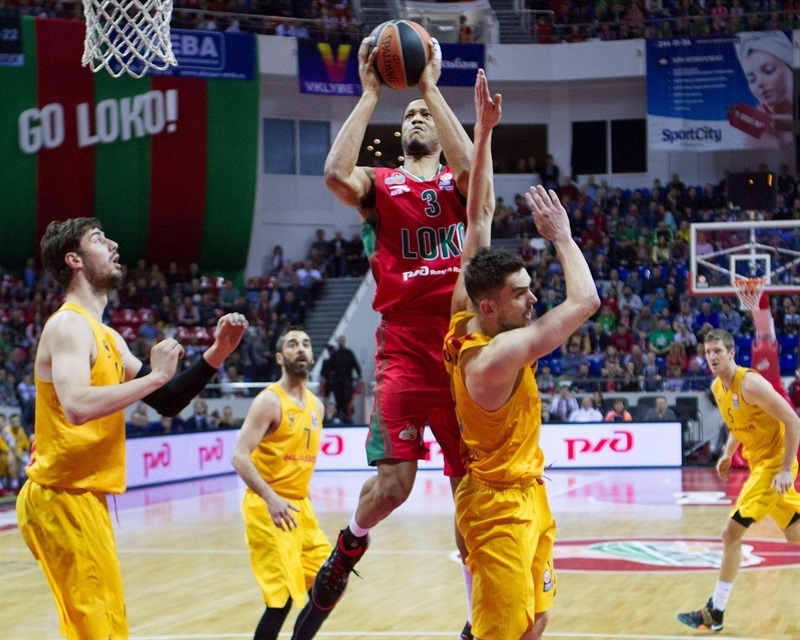 Bykov took over with a driving layup early in the quarter, but Oleson did even better with a bomb from downtown. Andrey Zubkov stepped up with a tip-in, which Delaney followed with an off-balance basket to give Lokomotiv some hope at 55-74. 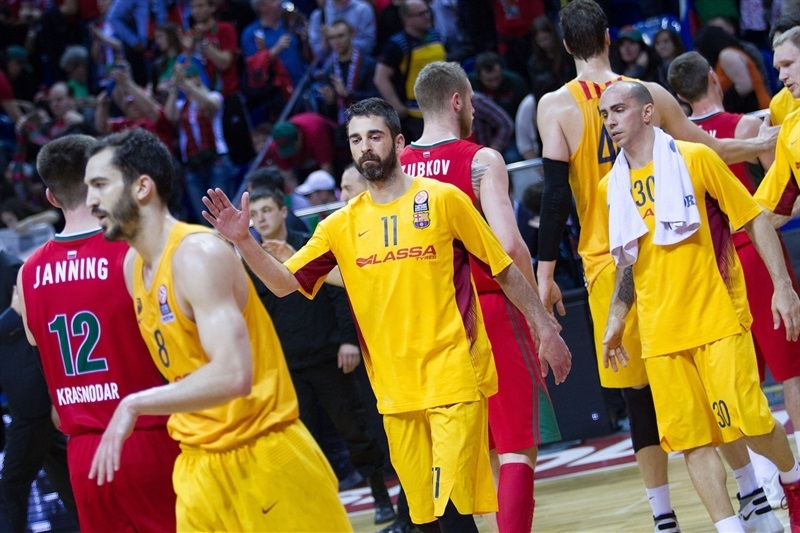 Bykov slashed to the basket for a reverse layup, as Barcelona struggled to organize its offense without Tomic and Satoransky on court. 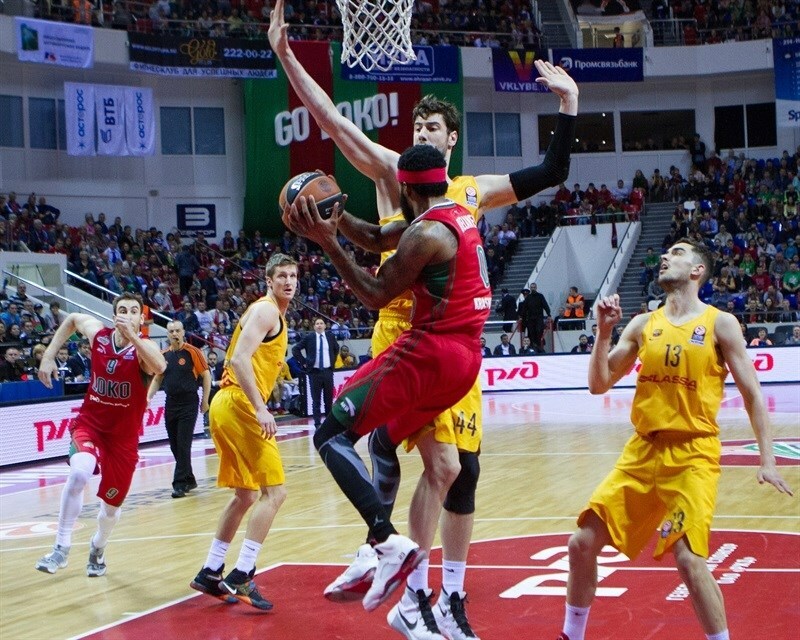 Randolph nailed a six-meter jumper and Janning added a layup brought Lokomotiv within 13 midway through the quarter. Navarro nailed a corner three-pointer off a timeout and a big dunk by Satoransky gave Barcelona a 61-79 lead with three minutes to go. Navarro struck again from downtown and even though Bykov hit his own shot from beyond the arc, everything was said and done already, as Barcelona walked away with a very valuable road win. "Obviously, it was a hard night for us. This is a bad loss, a very bad loss. Of course, Barcelona had a great performance tonight. We allowed then, I think, to do whatever they wanted during the game. That is why they felt confident from the beginning and finally they shot with these unrealistic percentages for this kind of game - 60-something percent for three. Barcelona is this kind of team - a team with many players who can score a lot on a good day. The problem for us is that our defense was not consistent, not forcing them into turnovers or bad shots. Anyway, I agree with Malcolm, but like I said after winning Game 1, you have to control the emotions in this kind of series, no matter if you win or lose. We have to go to Barcelona and take at least one game to come back here again. It is not going to be easy, but until now, as you know, in the regular season and Game 1 of the playoffs, we had three very tight games against Barcelona. Only this one we saw that we were not ready to play. First of all, we were not mentally ready to play this game; we had many turnovers, didn't follow our game plan and played on the ball a lot, not moving and passing the ball as we always do. Let's be positive; personally, I am. I will try to convince the players that this is the key: control your emotions and get ready for the next game. We are not a team that everybody expected to be competing in the Euroleague in mid-April. We have to enjoy our participation in the playoffs, but also fight for every defense, every offense in every game until we finish. We are going to do our best in Barcelona." "We are very happy with this win and with the game we played today. I believe we played a very good game in all aspects of the game. We were really good on defense and that allowed us to have rhythm and play well on offense. Moreover, we had good shooting percentages tonight. We know that the series is just 1-1, but it was very important for us to win tonight and get back in the series, now that we are taking it to Barcelona. Having rhythm in the game is very important for us. It has been important all season and sometimes we don't manage to do it. It is even more important in a game like this. Having deeper teams, or coaches using more players or less players, have its positive and negative things, but Lokomotiv won Game 1 and we won Game 2. Maybe fans think that we are now the favorites in this series, they can read it that way. Things are not like that for us. We have a lot of respect and admiration for Lokomotiv and its coach, and know we will have to give our best to win Game 3. We will see in which situation we are after that game. Playing on the road, being so important and playing so well, it was our best game in the Euroleague this season." "They just played like a veteran team and outplayed us for 40 minutes. We can't do that at home. It is just an embarrassing loss at home, but for me, it was a loss. It doesn't matter, the game is over and we have to prepare for Game 3." "We were able to play defense and run. We shared the ball well and made the most out of it. We played better offense tonight. As always, we have to think about the next game. We are happy after this win and know what we need to do to beat them. We have to make the most out of playing at Palau Blaugrana. If we see a full Palau, like in the last few games, we will have better chances. I am very happy to be the first player to reach 300 games in the Euroleague; we are growing old! I just hope to play at least four or five more games this season." "I think we were much more aggressive than in the first game. We wanted to play with a lot of rhythm because we have, I think, a lot of rotation, a lot of players who can play equal minutes. We tried to run and score a lot of fast break points today, which we didn't do in the first game. I think Games 3 and 4 are going to be two battles because this team is great. We have a lot of respect for Lokomotiv. We are a good, physical team that plays great defense. We have to keep going. We tried to switch on defense and tried to run from the beginning, and this is what we did. They came back but we kept playing our style of basketball and of course, had a good three-point shooting percentage but above all, we were much more aggressive than in Game 1. That was the key. Now it is going to be another tough battle in Game 3 in our home, but we are happy with how we played this game. Our goal is to finish the series in Barcelona, but we have big respect for this team. It is going to be tough; they will be ready again and it will be very difficult to score against them because they will be much more physical. That is our goal, to repeat this in our home court. It was the point of coming here."